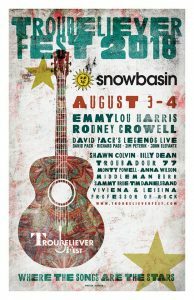 David Pack’s Legends Live will co-headline the inaugural TrouBeliever Festival, taking place at Snowbasin Ski Resort in Huntsville, UT on August 4th. David Pack (former lead singer of Ambrosia,) will be joined by Jim Peterik (Ides of March/.38 Special, and formerly of Survivor,) John Elefante (former lead singer of Kansas,) and Richard Page (former lead singer of Mr. Mister, also Ringo’s All Starr Band for 7 years) along with a superstar band and backing singers. Emmylou Harris & Rodney Crowell co-headline this outdoor festival celebrating the craft of songwriting and performing, which was written up on May 4 in Rolling Stone. 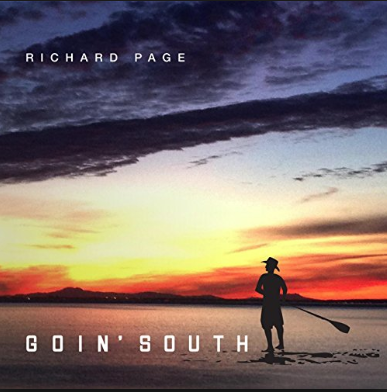 Also performing – Monty Powell, Anna Wilson, Shawn Colvin, and many more. See festival poster below. David Pack’s Legends Live hit the stage at 5:45pm.